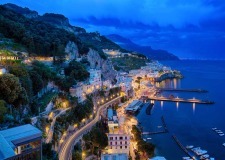 Beautiful 5 star luxury Hotel, perched on a clifftop 80 mt. above sea level, enjoys a spectacular view of Amalfi and the Mediterranean Coast but only few steps away from the historical city center and the harbor of Amalfi. 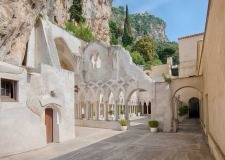 The hotel found its home within the walls of a 12th-century monastery. Part of the hotel are also the Norman-Arab cloister of the 13th-century and its magnificent “loggia” and the “Passeggiata dei Monaci” with its spectacular views, probably among the most painted in the world. The hotel, totally refurbished, seems suspended in mid-air between blue sky and dark blue sea and offers: panoramic restaurant, swimming pool, wellbeing oasis and fitness, private chapel and private parking. Catholic ceremonies can be celebrated in the Private Chapel of the hotel, by the Cloister. Set up of Church with max 70 seats. 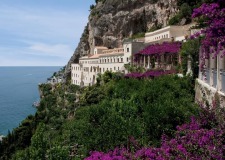 Civil Wedding ceremonies can be held at one of the two beautiful sites used as Wedding halls in Amalfi. 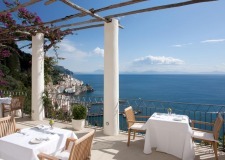 Walk of Monks Outdoor terrace where you can enjoy the view of the Amalfi Coast Suitable to groups up to 160 Guests. No seat arrangement - Here you can have Welcome lunch/Dinner aperitifs only. 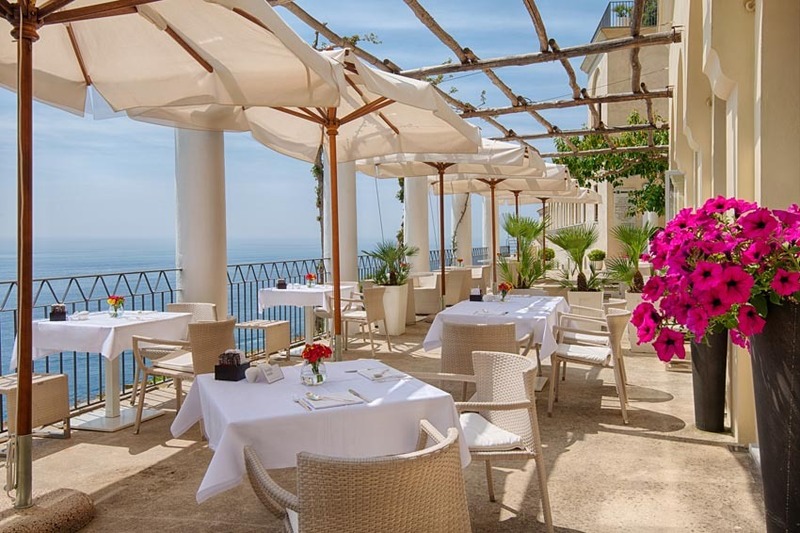 Belvedere Terrace The perfect place from where you can enjoy one of the most beautiful panoramic view of Amalfi will fit up to 70 Guests. No seat arrangement. 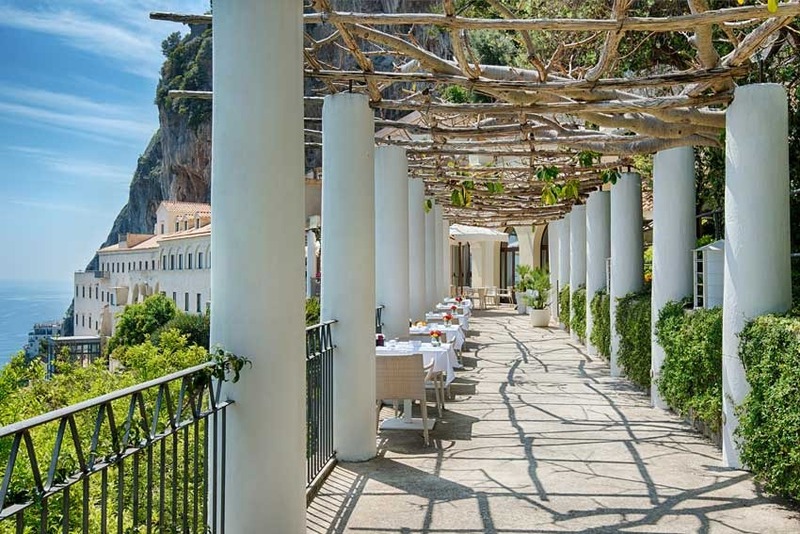 La Locanda Terrace Outdoor Terrace, above the infinity pool, with suggestive view on the ancient Monastery and on Amalfi for up to 160 Guests. After Dinner Open Bar setup arrangement with tables and chairs and sofas area, for a maximum capacity up to 160 Guests (with max 60 seats). The Cloister The past, the present and the future: close your eyes and get yourself carried away from this magic site, the Arabic Norman style Cloister of XIII Century suitable for groups up to 100 Guests. No seat arrangement. Other areas available are: "Dei Cappuccini" Terrace located in front of the main restaurant, the Bell Terrace, located on the eighth floor. 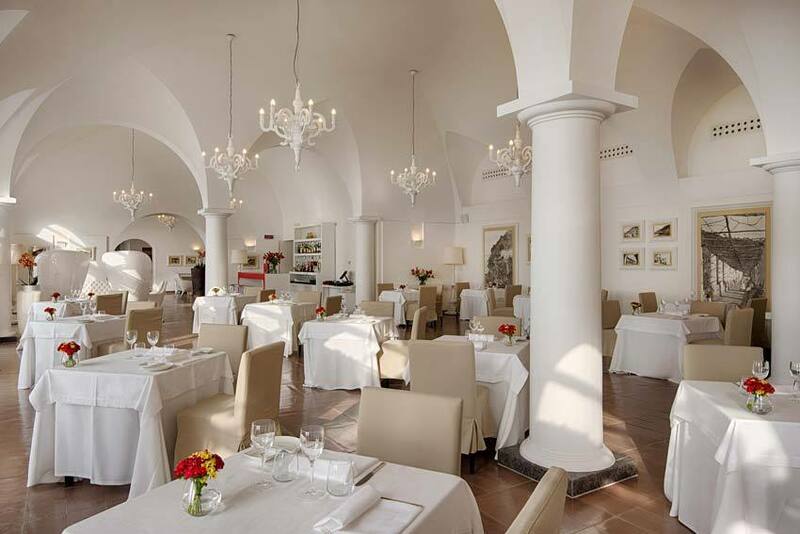 Restaurant "Dei Cappuccini" - Stylish and understated dining room with vault ceilings and large windows with a panoramic terrace overlooking Amalfi and the Gulf. maximum capacity of 160 Guests. Exclusive use of the restaurant or reserved area in a secluded spot. This will also serve as a great alternative in case of bad weather. 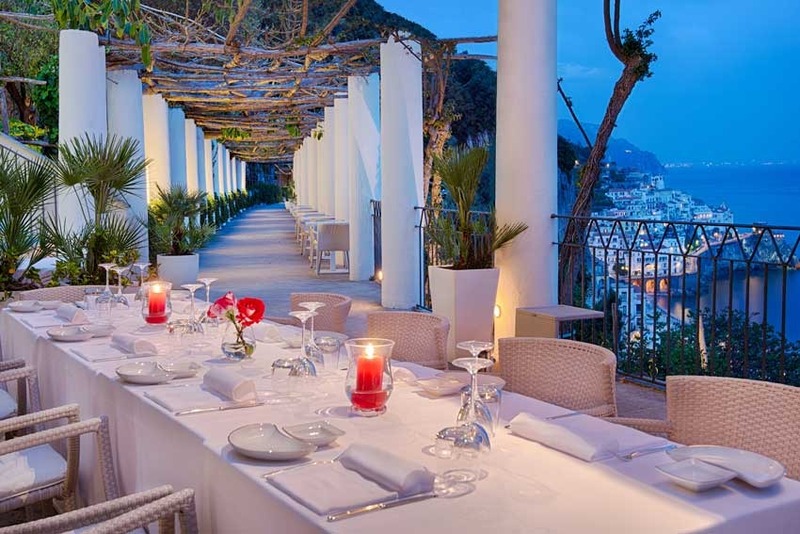 Outdoor Restaurant - Outdoor Terrace, above the infinity pool, with suggestive view of the ancient monastery and Amalfi Area’s exclusive use up to a maximum of 160 Guests. 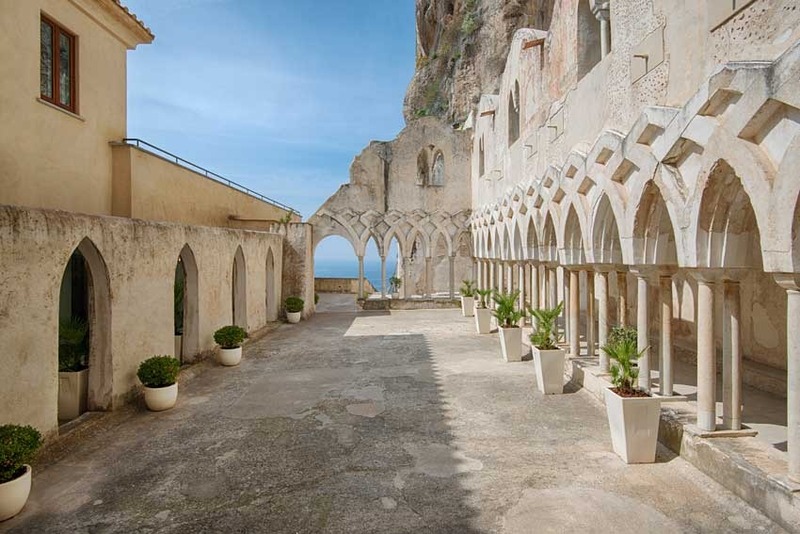 Walk of Monks - Enchanting terrace where famous painters found their inspiration for their paintings. It is settled among old gardens at midway within sea & sky. Area’s exclusive use with a single long Imperial table up to a maximum of 40 Guests or with round tables up to a maximum of 60 Guests. Wedding Menus are prepared by the chef de cuisine of the Hotel. Music and Dancing are allowed in the area by the pool until midnight. Rental fees for the use of the areas are applied for groups up to 60 guests and differ based on the areas you wish to use. Please enquire your Wedding planner about it. 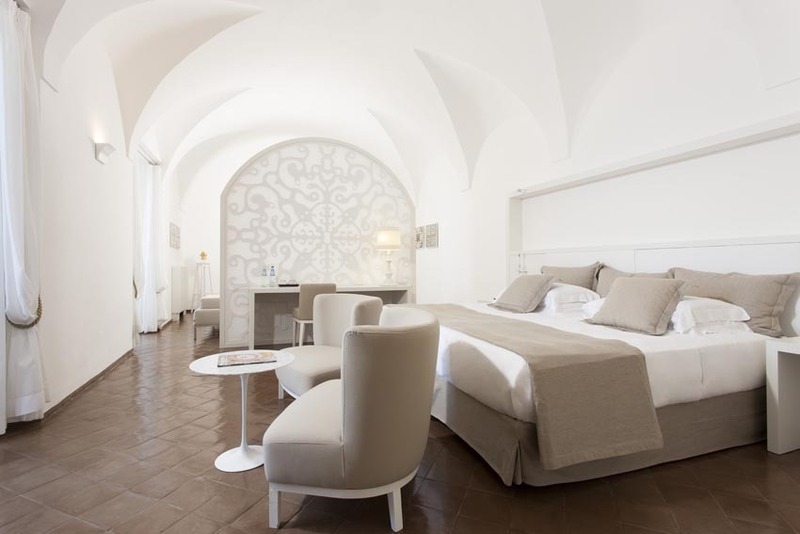 The Hotel features 53 Bedrooms that were once the old cells of the monastery – are now uniquely furnished with the latest amenities – all rooms have view of the sea, terracotta floors and elegant marble baths. Rates vary according to period of the year and number of rooms requested – please enquire for additional information. The hotel is open from Easter to November. We recommend weddings from April to the end of October.